We are a leading Manufacturer of hydraulic coco peat block making machine, coir pith block machine, coir pith block making machine and 650 grams coir pith making machine from Coimbatore, India. We offer Hydraulic Coco Peat Block Making Machine to our clients. Packaging Details: As Per Customer Requirement Packing is done and transport is arranged. 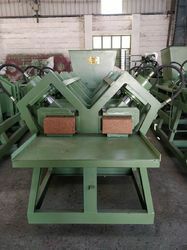 We offer Coir Pith Block Machine to our clients. we obligated to meet the quality standards as per the customer demand. Packaging Details: Transport using Lorry. We offer Coir Pith Block Making Machine to our clients. We are manufacturer of 650 grams coir pith block making machine.